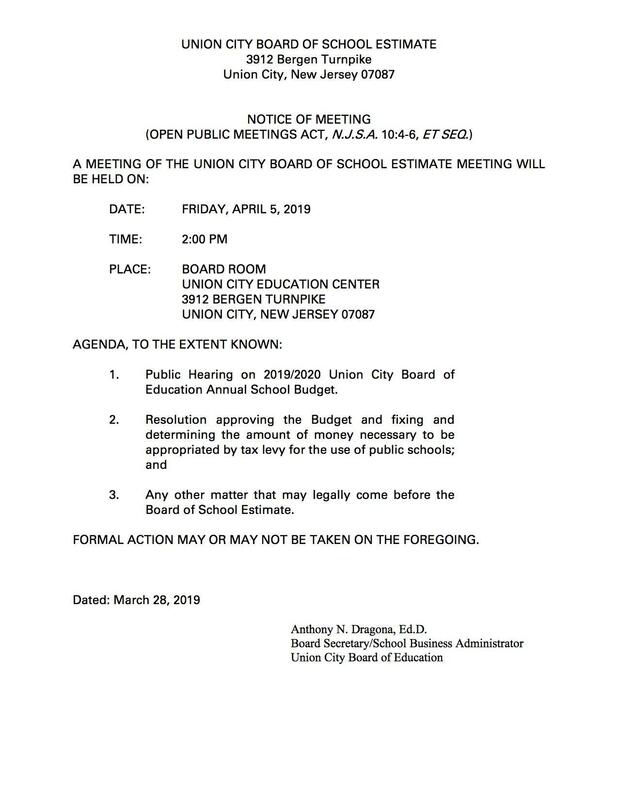 Public Hearing on 2019/2020 Union City Board of Education Annual School Budget. Any other matter that may legally come before the Board of School Estimate. Formal Action may or may not be taken on the foregoing.